The most popular system language for an operating system is English when working as a system developer, but when it comes to writing document you probably need a local language spelling package. 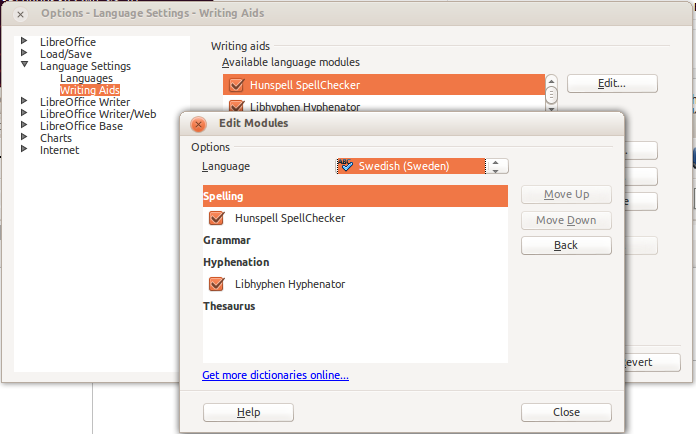 And in me previous blog I have written how to install swedish spelling package for LibreOffice, but with Ubuntu 12.10 there is a better way. 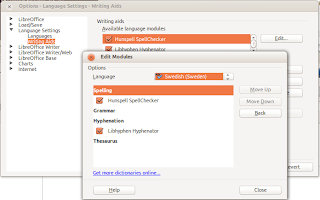 Install the spelling checking package as debian package. Tack, precis vad jag letade efter. Det funkade fint på ubuntu 12.04 LTS också. maybe you mean "How to install Swedish Spelling Checking on LibreOffice" because what you post seems focused on LibreOffice and not on the OS.